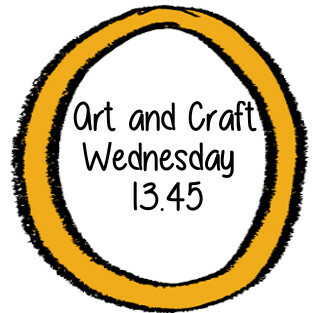 The idea of including lunch is to give young children the opportunity to come and have fun with our art and crafts materials but then also get the opportunity to sit down with their friends and have their lovely packed lunch (packed lunch provided from home.) The children will help to set the table and we will make a big point of encouraging all the things we consider “Good Table manners”. 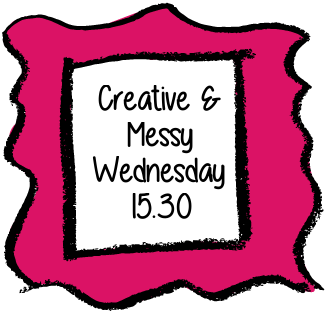 We want to provide a pressure-free environment where you and your child can get creative together! …and the best part of it is that we will take care of the mess after! 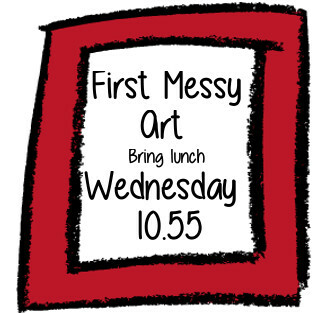 A class designed to introduce your child to art through messy play and give them the opportunity to use a wide range of art materials. Every week is themed with a short art project and related rhymes, songs and stories. In this class it’s not about the end product but simply the experience of drizzling, painting, sticking, touching and most importantly having lots of fun.